1. Tell us something hardly anyone knows about you? I grew up with a white Mum and Dad whom I love very much. To live in a world full of unhappy people. 4. Describe your writing style in ten words? Real characters with real problems, fears, love, challenges and inspirations. 5. Tell us five positive words that describe you as a writer? Daydreamer, persistent, enthusiastic, adventurous, adaptive. I would be a strong female character who fights off the baddies, who will never give up, not matter how hard the challenge. Because I’m a girl and I don’t like baddies. That’s easy, I’d go back to 1960 when my black Mum, Gran, Pop and Uncle were alive. We’d meet up, eat great tucker and have a long yarn. 8. What would your ten year-old self say to you now? My family especially my white Dad, he was a great storyteller. The voices in my head told me to do it, so I did. I'm sorry but I have two favourite words, Scrimshanker and fart, they both make me smile. Adam's Empire by Evan Green, a great Australian story that should be made into film. Sue McPherson is a visual artist living in Eumundi, Queensland. 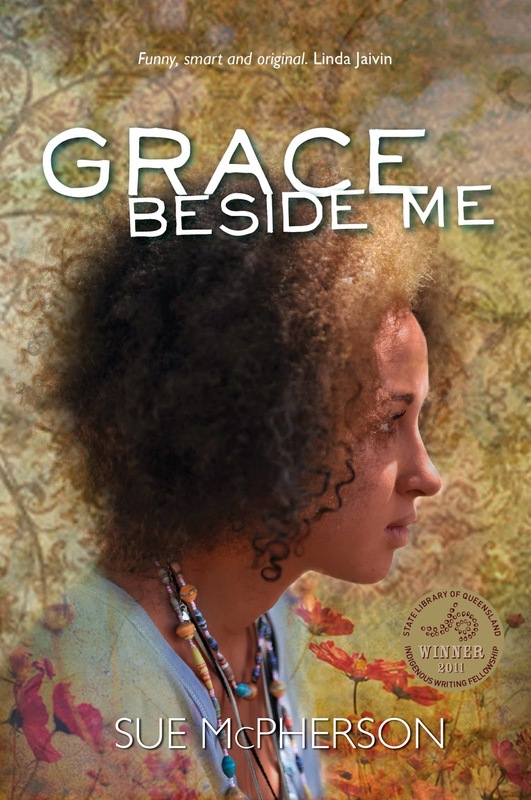 A weekend writing workshop inspired Sue to write for young adults with the resulting novel, Grace Beside Me (published by Magabala Books), winning the kuril dhagun Indigenous Writing Competition through the State Library of Queensland. It was also shortlisted for the 2013 Prime Minister’s Literary Awards (YA category) and a finalist in the 2012 Deadly Awards (Outstanding Achievement in Literature category).